History is usually a process of slow change. However, certain events also can change the course of history. Napoleon's defeat at Waterloo was such an event. So was the first airplane flight by the Wright brothers. Or the meeting between the Spanish explorer Cortez and the Aztec king Montezuma. All these events were moments that changed history. And so it was, too, with the Japanese attack on Pearl Harbor on December seventh, nineteen forty-one. NEWS BULLETIN: "We interrupt this program to bring you a special news bulletin. The Japanese have attacked Pearl Harbor, Hawaii, by air, President Roosevelt has just announced. The attack also was made on all naval and military facilities on the principal island of Oahu. "We take you now to Washington. The details are not available. They will be in a few minutes. The White house is now giving out a statement. The attack was apparently made on all naval and military activities on the principal island of Oahu. "The president's brief statement was read to reporters by Stephen Early, the president's secretary. A Japanese attack upon Pearl Harbor naturally would mean war. Such an attack would naturally bring a counterattack. And hostilities of this kind would naturally mean that the president would ask Congress for a declaration of war." STEVE EMBER:The surprise attack on America's large naval base in Hawaii was a great military success for Japan. 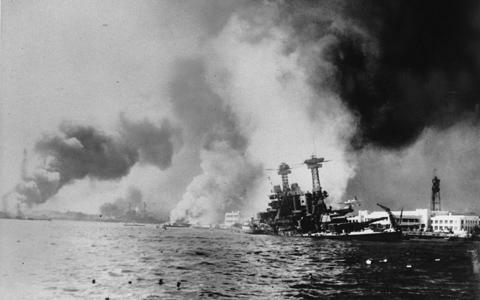 However, the attack on Pearl Harbor had more than a military meaning. The attack would force Americans to enter World War Two. More importantly, it would also make them better recognize their position as one of the most powerful nations in the world. In future weeks, we will discuss the military and political events of World War Two. But today, we look back at the years before the United States entered that war. The period between the end of World War One and the attack on Pearl Harbor lasted only twenty-three years, from nineteen eighteen to nineteen forty-one. But those years were filled with important changes in American politics, culture and traditions. We start our review of these years with politics. In nineteen twenty, Americans elected Republican Warren Harding to the presidency. The voters were tired of the progressive policies of Democratic president Woodrow Wilson. They were especially tired of Wilson's desire for the United States to play an active role in the new League of Nations. Harding was a conservative Republican. And so were the two presidents who followed him, Calvin Coolidge and Herbert Hoover. All three of these presidents generally followed conservative economic policies. And they did not take an active part in world affairs. Americans turned away from Republican rule in the election of nineteen thirty-two. They elected the Democratic presidential candidate, Franklin Delano Roosevelt. And they continued to re-elect him. In this way, the conservative Republican policies of the nineteen twenties changed to the more progressive policies of Roosevelt in the nineteen thirties. This change happened mainly because of economic troubles. The nineteen twenties were a time of growth and business strength. President Calvin Coolidge said during his term that the "chief business of the American people is business." This generally was the same belief of the other Republican presidents during the period, Warren Harding and Herbert Hoover. There was a good reason for this. The economy expanded greatly during the nineteen twenties. Many Americans made a great deal of money on the stock market. And wages for workers increased as well. However, economic growth ended suddenly with the stock market crash of October nineteen twenty-nine. In that month, the stocks for many leading companies fell sharply. And they continued to fall in the months that followed. Many Americans lost great amounts of money. And the public at large lost faith in the economy. Soon, the economy was in ruins, and businesses were closing their doors. President Hoover tried to solve the crisis. But he was not willing to take the strong actions that were needed to end it. As time passed, many Americans began to blame Hoover for the terrible economic depression. Democrat Franklin Roosevelt was elected mainly because he promised to try new solutions to end the Great Depression. FRANKLIN ROOSEVELT: "This great Nation will endure as it has endured, will revive and will prosper. So, first of all, let me assert my firm belief that the only thing we have to fear is fear itself - nameless, unreasoning, unjustified terror which paralyzes needed efforts to convert retreat into advance." STEVE EMBER:Soon after he was elected, Roosevelt launched a number of imaginative economic policies to solve the crisis. FRANKLIN ROOSEVELT: "Our greatest primary task is to put people to work. This is no unsolvable problem if we face it wisely and courageously. It can be accomplished in part by direct recruiting by the Government itself, treating the task as we would treat the emergency of a war, but at the same time, through this employment, accomplishing greatly needed projects to stimulate and reorganize the use of our great natural resources. "Hand in hand with that, we must frankly recognize the overbalance of population in our industrial centers. And by engaging, on a national scale, in a redistribution, endeavor to provide a better use of the land for those best fitted for the land. Yes, the task can be helped by definite efforts to raise the values of agricultural products, and with this, the power to purchase the output of our cities. "It can be helped by preventing realistically the tragedy of the growing loss through foreclosure of our small homes and our farms. It can be helped by insistence that the federal, the state, and the local governments act forthwith on the demands that their costs be drastically reduced." STEVE EMBER: Roosevelt's policies helped to reduce the amount of human suffering. But the Great Depression finally ended only with America's entry into World War Two. Roosevelt's victory in nineteen thirty-two also helped change the balance of power in American politics. Roosevelt brought new kinds of Americans to positions of power: Labor union leaders. Roman Catholics. Jews. Blacks. Americans from families that had come from places such as Italy, Ireland and Russia. These Americans repaid Roosevelt by giving the Democratic Party their votes. The nineteen twenties and thirties also brought basic changes in how Americans dealt with many of their social and economic problems. The nineteen twenties generally were a period of economic growth with little government intervention in the day-to-day lives of the people. But the terrible conditions of the Great Depression during the nineteen thirties forced Roosevelt and the federal government to experiment with new policies. The government began to take an active role in offering relief to the poor. It started programs to give food and money to poor people. And it created jobs for workers. The government grew in other ways. It created major programs for farmers. It set regulations for the stock market. It built dams, roads and airports. American government looked much different at the end of this period between the world wars than it did at the beginning. Government had become larger and more important. It dealt with many more issues in people's lives than it ever had before. Social protest increased during the nineteen twenties and thirties. Some black Americans began to speak out more actively about unfair laws and customs. Blacks in great numbers moved from the southern part of the country to northern and central cities. The nineteen twenties and thirties also were a time of change for women. Women began to wear less conservative kinds of clothes. Washing machines and other inventions allowed them to spend less time doing housework. Women could smoke or drink in public, at least in large cities. And many women held jobs. Of course, the women's movement was not new. Long years of work by such women's leaders as Elizabeth Cady Stanton and Susan B. Anthony had helped women win the constitutional right to vote in nineteen twenty. The nineteen twenties and thirties also were important periods in the arts. 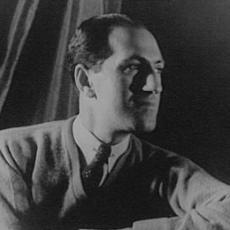 George Gershwin wrote his "Rhapsody in Blue" originally for piano and jazz band. It later went on to become a symphony concert favorite. Writers such as Ernest Hemingway, William Faulkner, Eugene O'Neill and others made this what many called the "Golden Age" of American writing. Frank Lloyd Wright and other architects designed great buildings. Film actors like Clark Gable, and radio entertainers like Jack Benny did more than make Americans laugh or cry. They also helped unite the country. Millions of Americans could watch or listen to the same show at the same time. Politics. The economy. Social traditions. Art. All these changed for Americans during the nineteen twenties and thirties. And many of these changes also had effects in countries beyond America's borders. However, the change that had the most meaning for the rest of the world was the change produced by the Japanese attack on Pearl Harbor. America's modern history as a great superpower begins with its reaction to that attack. It was a sudden event in the flow of history. It was a day on which a young land suddenly became fully grown. Our story continues next week. Our program was written by David Jarmul. You can find our series online with transcripts, MP3s, podcasts and pictures at www.unsv.com. You can also follow us on Facebook and Twitter at VOA Learning English. I'm Steve Ember inviting you to join us again next week for THE MAKING OF A NATION - American history in VOA Special English.